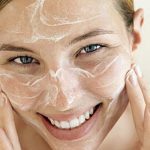 How to use face wash – Washing and cleaning your face regularly would be the greatest favor you can do to your facial skin. Most people end up damaging their skin with the improper use of the face wash. Washing your face might be the easiest thing to do but one incorrect move can damage your skin beyond your imagination. If you are looking for the ways to use face wash correctly then look no further. Here we will let you know about how to use face wash effectively. 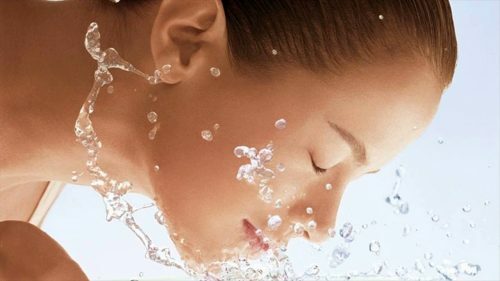 Washing and cleansing the facial skin has always been an important part of the skin care routine. The only difference is that older methods have now been replaced by several quality products. But every new change has its own pros and cons. Choosing the wrong product for your skin can damage it to the most extent. Therefore, making a wise choice is also mandatory to take good care of your skin. What are the benefits of using face washes? A regular and proper face care routine comes with a lot of benefits to count on. You can easily get rid of the various skin related problems like pimples, acne to name some of the common ones. Face washes help in maintaining the health of the skin but it has numerous other advantages too. Therefore, here we will discuss some of the perks of using face wash to take care of the skin. Regular facial care routine will make your skin radiant and healthy. The face washes are also extremely helpful in protecting your skin from the premature aging. One of the biggest and the most beneficial benefits of using face wash is that it helps in reducing and maintaining the pore size of the skin. They help in maintaining the production of the excess skin oil and also boosts the hydration so that your skin can glow. Face washes triggers clear skin by keeping the problems like acne, pimples, blemishes away from your skin. 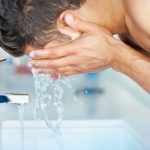 How to choose the right face wash for your skin? The type of face wash you use must match the type of your skin, as not everyone has the same type of skin. While buying a face wash, you may get tempted from the brands and packaging. But you really have to be picky if you do not want your skin to go through any kind of harm. To prevent your skin from the damage, we have brought you the list of the top tips to choose the right face wash. If you have an oily face, then you must choose the products that have ingredients to manage the excess oils on the skin. If you have dry skin, look for moisturizing ingredients such as aloe, glycerin, and Vitamin E.
And if you have delicate or sensitive skin, then you must go for the face washes that are fragrance-free as it may irritate your skin. Also, choose the products that do not have many chemicals in it. Choose the face washes with the right amount of pH and other ingredients to match up to your skin type. Face washes should be used with an extreme care to get the beneficiary results. 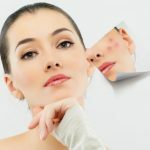 If you do not want to get end up with hurting your skin then here we have brought you some of the best tips to use face wash. Scroll down to check them out and implement the next time you use a face wash.
Our facial skin is already the home to dirt and dust so you definitely do not want to introduce more. Therefore, start the face washing process with clean hands. You can use both lukewarm or cold water to wash your face depending on the weather. Using hot water to wash the face can cause damage. Squeeze out a small amount of the face wash and gently rub your facial skin in a circular motion. Put more focus on the areas where you think your skin needs more care. Take your time and use more time spreading the lather on the facial skin. Rinse it off with water and pat dry with a soft and warm towel. Afterward, you can use a cream or moisturizer on it. Face washing is extremely important and using the right products in the right way is even more important. Aforementioned are the best ways to use this skin care product in the right way. So, go ahead and now implement these tips to get better results.